inBIO160 a new concept access controller based on biometric identification aims to improve the security of users’ life and information, it means that visitors need to place fingerprints on reader and the data collected is transferred to controller to verify. inBIO160 is specially designed for applications like home, offices and enterprises, users may choose from serial communication or Ethernet to get linked to software for central management, meanwhile, the distance between controller and RS485 readers could be more than 800m. inBIO160 is very convenient and safe for users to connect other security products for its groove socket, even quietly brilliant to see its working status through LED indicators on surface. Web-based management helps know about the local events on e-map and video remotely in real time control. We believe it will bring a big revolution of access control market in the world. 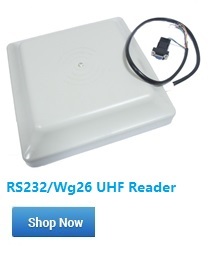 Users place fingerprints on reader, and access controller verifies the biometric data transferred from RS485 reader directly. inBIO160 is standard with SD Card slot, it enhances events capacity and protects database missing. It is steadily compatible working with RS485 fingerprint reader, and enhances the communication distance to 800m at least. There are five LED indicators on the housing of inBIO160; they indicate whether power is on , whether controller runs steadily, whether the identification is valid, and whether data is transferred from RS485 readers normally. Pre-setting video surveillance linkage function on software, illegally operating on reader would active the camera to take photo or record video immediately. inBIO160 can be integrated with other security systems such as CCTV, fire alarm, BAS (building automation system) and other systems to configure total security system. It is easy to manage the system by browser from client PC. There is no need to install software on each client.